Following last week's glittering state banquet, there was much discussion about Belgian royal jewels here and elsewhere. 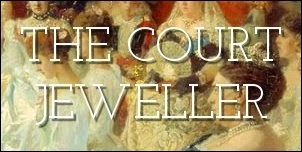 Over on the Royal Jewels of the World Message Board, the talk turned to the jewels worn by Princess Lilian, second wife of King Leopold III, and the thread turned up an interesting surprise. For years, I've thought (and said here more than once) that although Lilian wore many of the jewels from the collection of her husband's first wife, the late Queen Astrid, she never wore the Nine Provinces Tiara as a traditional tiara. It turns out, though, that that's not precisely true. Lilian apparently did wear the piece as a tiara -- at least in partial form. Some of the large round diamonds were also apparently affixed to the collar-style Van Cleef and Arpels necklace from Lilian's collection. But here's the real surprise: malluu from the RJWMB offered this photograph of Lilian clearly wearing the meander base of the Nine Provinces Tiara as a bandeau. Lilian wore the tiara of Belgium's queens as a tiara after all -- although she wore only part of it. What do you think? Should royal spouses wear jewels owned by a previous wife?